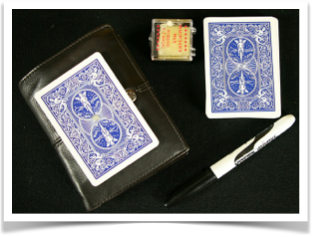 This signed card to wallet magic trick is awesome and will blow your audience away. 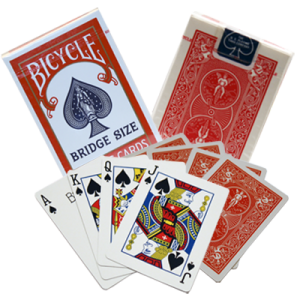 The second ‘secret’ item you need is a ‘double backed card’. This is a card that has the ‘back’ of the card printed on both sides. This is the secret that makes the signed card to wallet work. If you like, you can make your own ‘double backed card’ by sticking two cards face-to-face. Make sure that both cards have the same coloured back i.e. blue and blue or red and red. The backs need to match the backs of the pack of cards you are using. Once you have your double back card you are ready to perform the signed card to wallet. 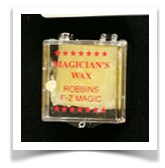 Take a small piece of ‘Magician’s Wax’ and make a small ball. TIP: 100% beeswax will also work for this trick. Stick the small ball of wax on one side of the double backed card. Place the double backed card in the wallet with the wax on the facing down side. 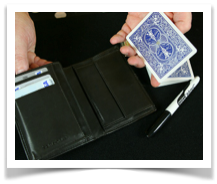 You are now ready to perform the Signed Card to Wallet Magic trick! 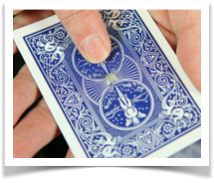 Have a look at the video to see how to perform this awesome magic trick.